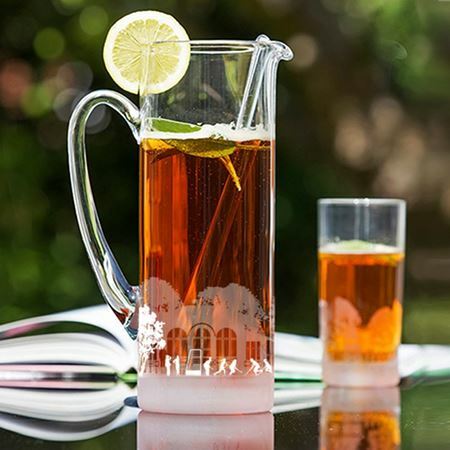 A personalised jug & tumbler glasses set makes for a truly special homeware gift. 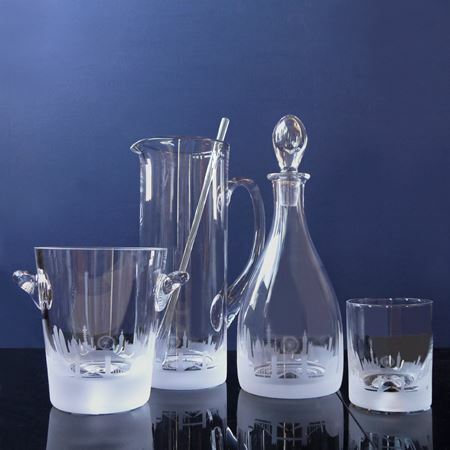 Our collections come in a variety of styles and materials including silver trim, pewter and crystal glass. 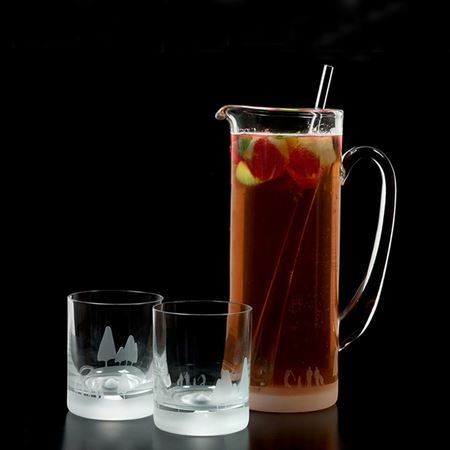 Our decadent range of jugs & tumbler glasses sets are perfect gifts for special occasions. 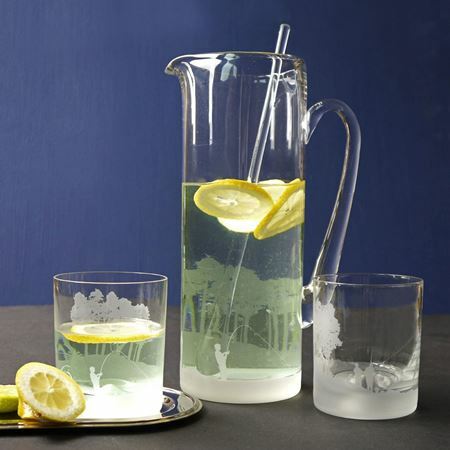 Inkerman's best selling jug etched with a shooting scene around the base. 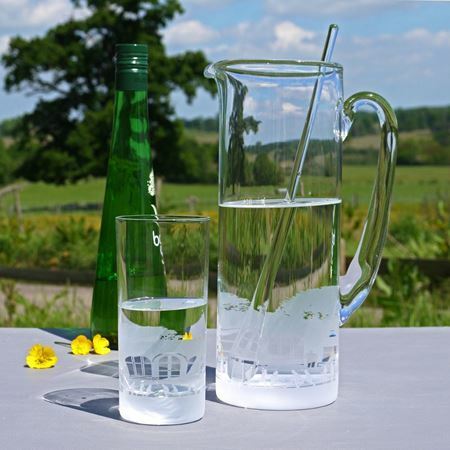 Perfect for water, juice, pimms & cocktails. 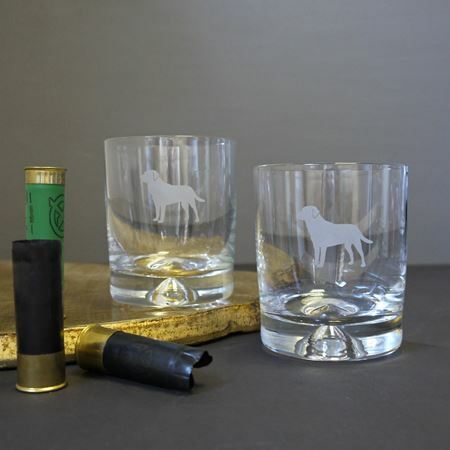 The scene can be customised to include your very own wording or a logo can also be incorporated into the design to create a unique shooting scene present. Holds 1.5 litres. If you are interested in etching a logo contact sales@inkerman.co.uk for details and prices. 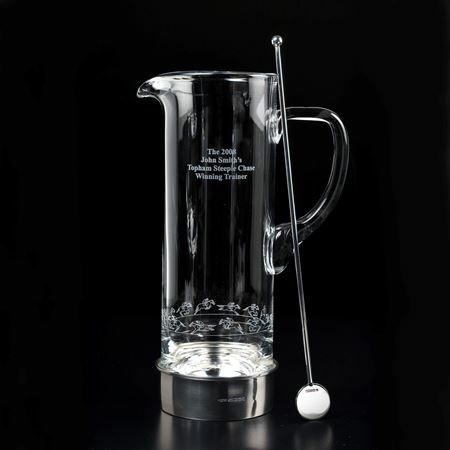 Inkerman's Golf scene Jug makes an ideal golf prize or a perfect present for a golf fanatic, especially wrapped with a pair of golf scene tumblers. 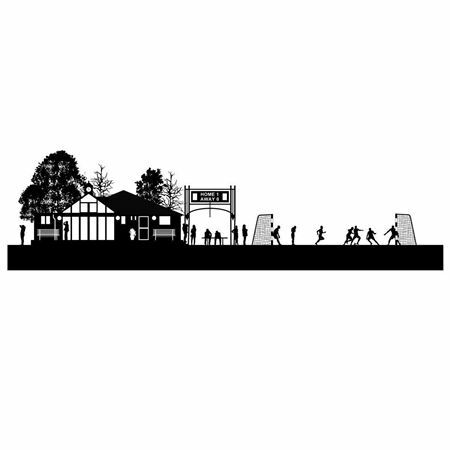 The scene can be customised to include your own wording; logo or date. 1.5 litres. 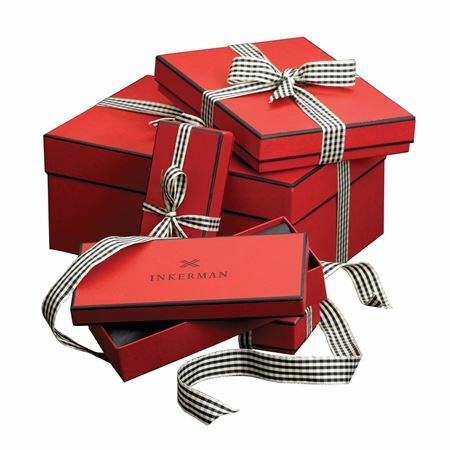 Inkerman's Golf scene Jug & Tumbler set makes an ideal golf prize or a perfect present for a golf fanatic, especially wrapped with a pair of golf scene tumblers. The scene can be customised to include your own wording; logo or date. 1.5 litres. 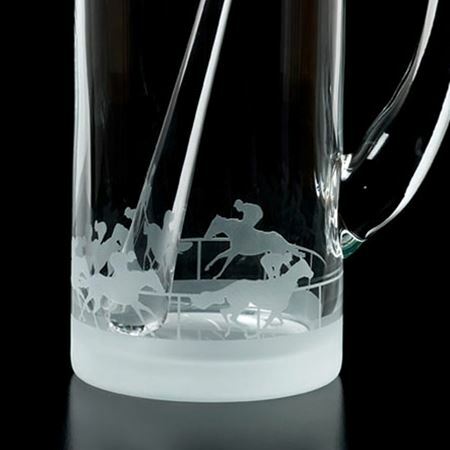 Inkerman's classic jug finished with an intricate etching of a Hockey scene encircling the base. Holds 1.5 litres. The scene can be customised to include your very own wording or a logo can also be incorporated into the design to create a truly unique sporting themed gift. 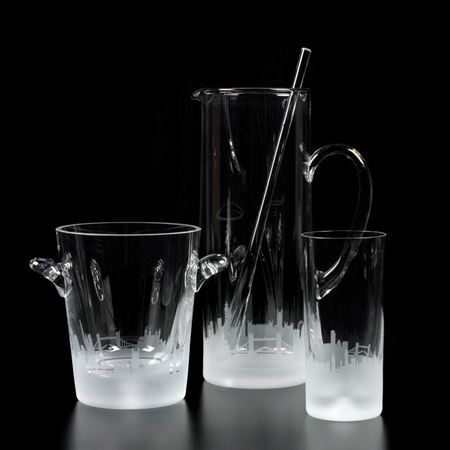 Inkerman's classic jug & tumbler set finished with an intricate etching of a Hockey scene encircling the base. Holds 1.5 litres. The scene can be customised to include your very own wording or a logo can also be incorporated into the design to create a truly unique sporting themed gift. Traditional crystal claret jug, 31cms tall, etched with the Grand National 'Jumping Horse' design and race details. Inkerman were commissioned to create all of the trophies for the Grand National Meet at Aintree Racecourse from 2009 until the end of John Smith's sponsorship in 2013. 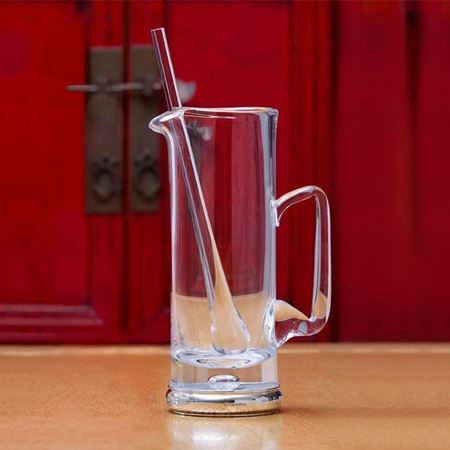 Crystal jug & stirrer with sterling silver foot, measuring 28cms tall. Inkerman were commissioned to create all of the trophies for the Grand National Meet at Aintree Racecourse from 2009 until the end of John Smith's sponsorship in 2013. 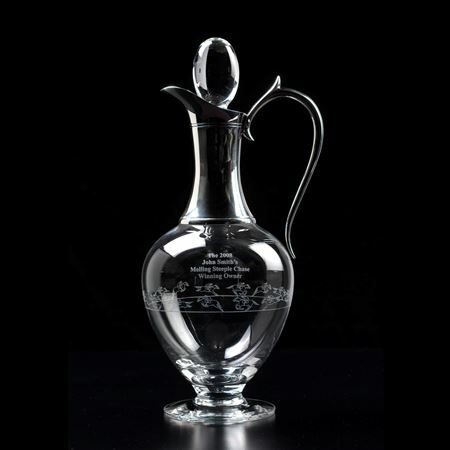 Inkerman's best selling jug etched with a polo scene around the base. 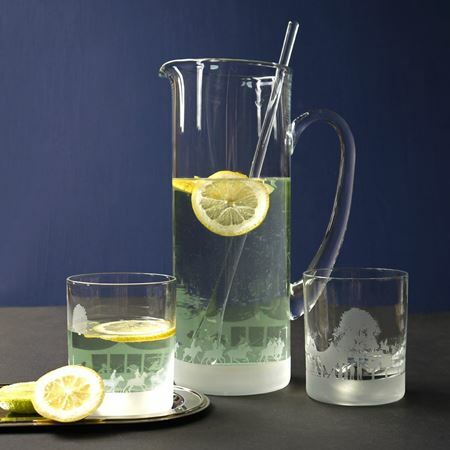 Perfect for water, juice, pimms & cocktails. The scene can be customised to include your very own wording or a logo can also be incorporated into the design to create a unique polo scene present. Size 1.5 litres. Email sales@inkerman.co.uk to customise this piece. 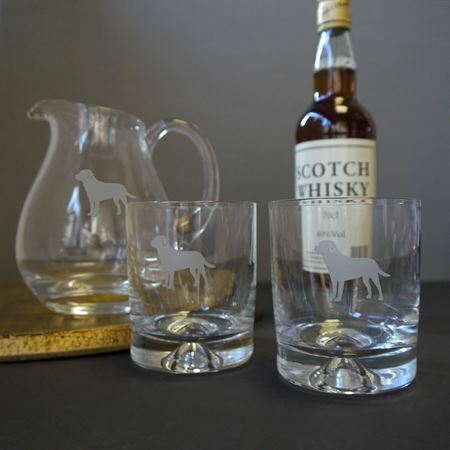 Inkerman's best selling jug & tumbler set etched with a polo scene around the base. 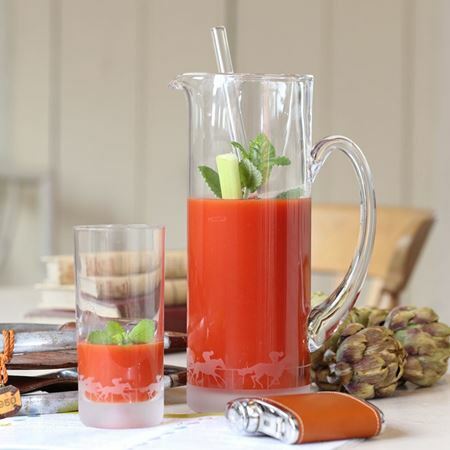 Perfect for water, juice, pimms & cocktails. 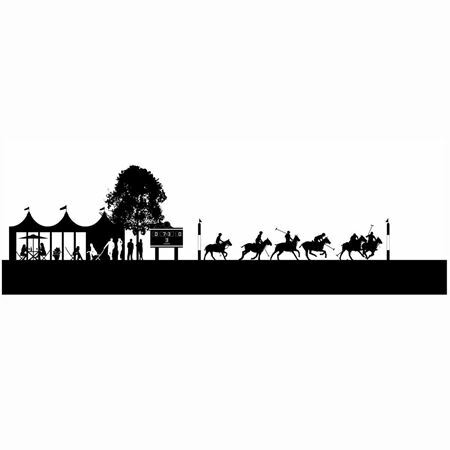 The scene can be customised to include your very own wording or a logo can also be incorporated into the design to create a unique polo scene present. Holds 1.5 litres. Email sales@inkerman.co.uk to customise this piece. 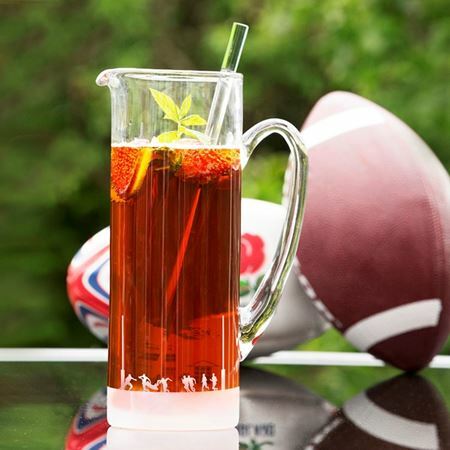 Inkerman's classic jug finished with an intricate etching of a Rugby scene encircling the base. Holds 1.5 litres. The scene can be customised to include your very own wording or a logo can also be incorporated into the design to create a truly unique sporting themed gift. 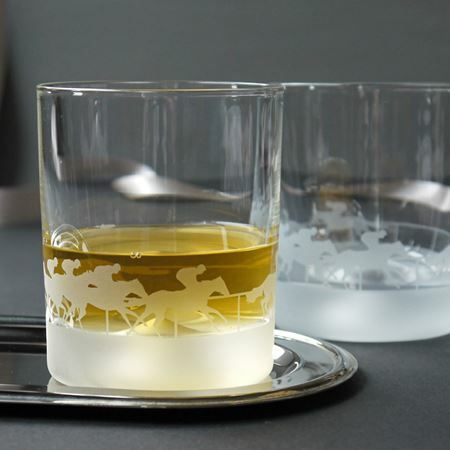 Inkerman's classic jug & tumbler set finished with an intricate etching of a Rugby scene encircling the base. Holds 1.5 litres. 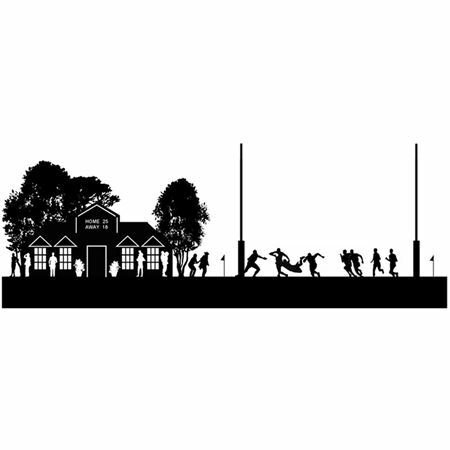 The scene can be customised to include your very own wording or a logo can also be incorporated into the design to create a truly unique sporting themed gift. 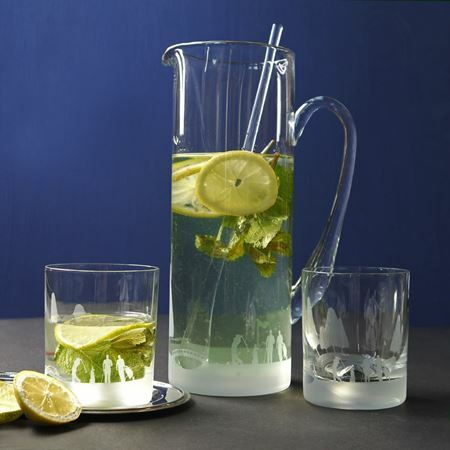 These popular and pretty shaped jugs are perfect for water or juice and can be used for smart occasions or for everyday. 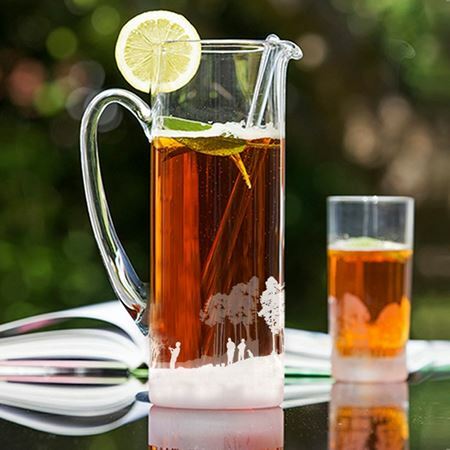 They come in three sizes; 1/2 litre 14cm high, 1 litre 17cm high, 1.5 litre 19cm high. 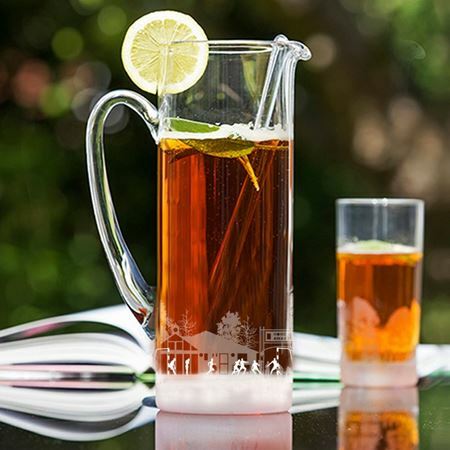 Choose from a fantastic range of jugs and tumbler glasses in a variety of styles and materials.